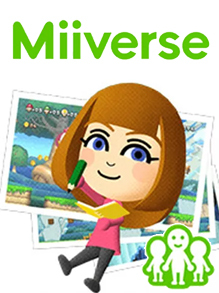 Nintendo confirmed today what intrepid dataminers have suspected since July: the Nintendo Miiverse service is shutting down. On November 7th, 2017 at 10:00pm Pacific Time the Miiverse service will be discontinued on Wii U, Nintendo 3DS handhelds, and on the web. The Wii U Chat service which enabled voice and video messaging between consoles is also being shut down alongside the Miiverse. Nintendo will also provide a means for users to download their Miiverse posts after the service ends through the http://miiverse.nintendo.net site. Users won’t be able to save comments and replies but a few weeks after the November 7th deadline, users who register at the Miiverse site will be emailed a unique URL to download their original posts. Super Smash Bros. (Wii U, Nintendo 3DS): The Miiverse stage will still be playable, but Miiverse user posts will not display in the background. Players will also be unable to post replays to YouTube/Miiverse, share stages or create tournaments. Mario vs. Donkey Kong: Tipping Stars (Wii U, Nintendo 3DS): While users will still be able to play Mario vs. Donkey Kong: Tipping Stars and complete all 88 levels in the main game, the Community feature will be discontinued, preventing players from sharing levels and receiving additional Stars. As there will be a limit to the number of Stars that can be obtained, not all objects may be unlocked from the Workshop. Further info. More details and more answers can be found at the Nintendo Support announcement and FAQ pages. The shutdown date has been added to the Watch List and calendar.